Nissan, and the entire automotive market had a good month in March 2012.Nissan sold a record 136,317 units, an increase of 12.5% from March 2011. Altimas sold an almost unbelievable 41,050 cars. 370Z's were up to 1,095 cars.579 electric LEAF's.GT-R sales were solid for the car with 139 sales,but that is a 50% decrease vs March 2011. March 2011 was the first year of the 530 horsepower DBA version. 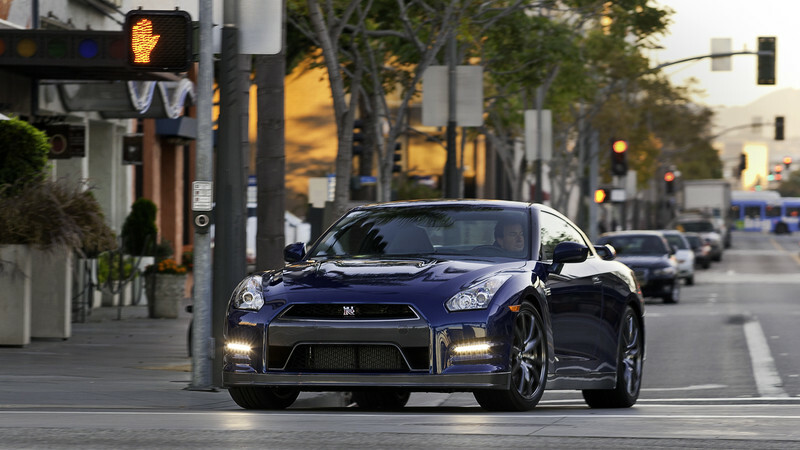 The 545 horsepower 2013 version is just starting to hit dealers, so we will have to see if the GT-R sales maintain, or see a slight bump for April 2012. Nissan North America, Inc. (NNA) today reported March U.S. sales of 136,317 units versus 121,141 units a year earlier, an increase of 12.5 percent, and a record for any month in the company's history. Nissan Division sales also set a new sales record, up 14.8 percent for the month at 126,132 units. Sales of Infiniti vehicles were down 9.8 percent from the prior year, to 10,185 units. Nissan Division also posted its best all-time month in March with 126,132 sales, an increase of 14.8 percent over the previous record of 109,854 units set last March. Sales of the Nissan Altima hit a new monthly record, finishing at 41,050 units, up 27.1 percent over March 2011. The new record comes on the eve of the introduction of the all-new 2013 Nissan Altima, which will be unveiled tomorrow at the New York International Auto Show. Nissan Rogue also set an all-time volume record with March sales of 16,972 units up 19.7 percent over the prior year. Nissan Juke sales also set a new all-time record, with 4,165 deliveries marking a 1.9 percent increase over March 2011. Sales of the Nissan Versa set a new March record at 15,587 units, up 40.7 percent over the prior year. "Our record March sales show that Nissan's combination of quality and value continues to put us at the top of more customers' shopping lists," said Al Castignetti, vice president and general manager, Nissan Division. "With new versions of five of our highest volume models coming in the next 15 months, including the all-new 2013 Altima, we're going to keep our foot on the accelerator for even better gains in the months to come." Infiniti today reported sales of 10,185 units for March, a decrease of 9.8 percent from 11,287 units a year earlier. The all-new Infiniti JX 7-passenger luxury crossover went on sale late in March, and had sales of 540 units. On Thursday, April 5, at the New York Auto Show, Infiniti will unveil a zero emission concept that will preview the stylish, high-performance, electric luxury car that is set to launch in 2014. NOTE: To ensure consistency in global sales reporting, Nissan North America calculates monthly variances on a straight-percentage basis, unadjusted for the number of selling days. March 2012 had 28 selling days, while March 2011 had 27 selling days.